In a private fundraiser a few months ago, Mitt Romney ‘explained’ to his crowd of wealthy donors that Obama firmly had 47% of the vote secured and that this 47%, are the 47% that depend on the government and “pay no income taxes.” Now, it’s categorically untrue that 47% pay no income taxes (it’s true that 47% pay no FEDERAL income taxes, and this doesn’t exclude them from paying state or other local income taxes, nor payroll or sales taxes–and these last two hit the bottom earners at a higher percentage than top earners). 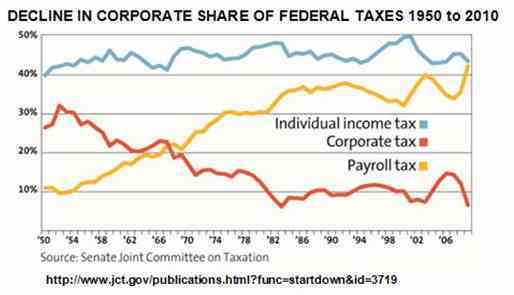 The 47% who aren’t paying federal income taxes aren’t paying into this bucket because their wages have fallen below a certain threshold as more and more of their productivity goes to the top 1%. 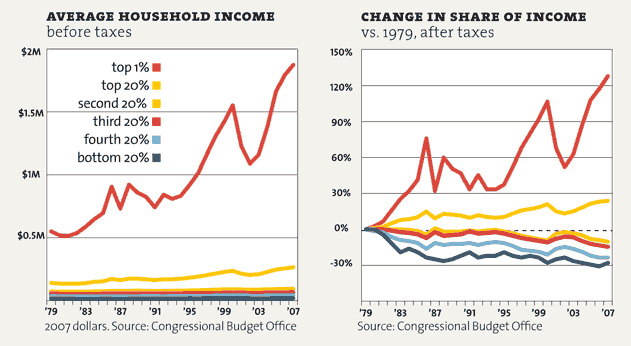 In terms of after-tax income, the bottom half has gotten most of the shaft. Mitt Romney and his puppet masters would have us demonize these low income earners for not paying federal income taxes. Republican apathy toward this continuing trend is astounding. Here are the facts. The statement that the 47% who pay no federal income taxes and the roughly 47% who are solidly Democratic voters in this election are the same is insulting as it insinuates a number of stereotypes regarding people’s reasons for voting. As income taxes have been lowered on the wealthy, the payroll taxes that most of the aforementioned pay into have taken on a larger percentage of the tax burden. 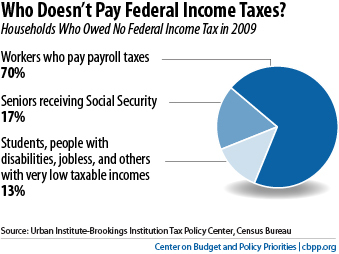 Unlike income taxes, payroll taxes take a higher percentage of from lower incomes. These are the very people who’ve seen their wages drop relative to the cost of living as those at the top take a larger and larger percentage of the gains from their hard work. Wealth distribution has been happening (upwards) for over 30 years. 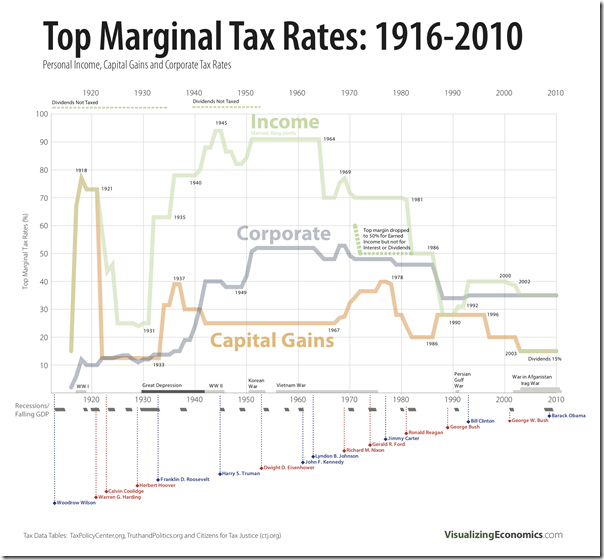 Mitt Romney’s money has come from capital gains (which are taxed at 15%). This is actually a lower percentage than many middle income Americans.